When you dream about becoming a comic creator, your thoughts run along the lines of this. Finish high school, go to art school, drop out of art school because you’re better than that, move to New York or Los Angeles, and walk into Marvel or DC’s main office with a full portfolio, at which point they exclaim at your genius and throw a pile of money at you, begging you to draw their most iconic characters. It almost never happens like that. Anyone who still wants to make comics after the first time an editor does a quick overview of their portfolio is made of stronger stuff than most. It’s a brutal business, and only those with a singular drive will get to the point where Marvel and DC are knocking down their doors. Life gets in the way. You get married, have kids, all of that regular life stuff, and comics get pushed to the side. I’ve been extraordinarily fortunate to come into the sphere of a group of creators in Michigan who have taken the reins and decided to make comics for the simple joy of doing it. I’d never thought of Michigan as a thriving hub of comic entertainment, but it appears that there’s a kind of renaissance happening there, or here, right now. And it centers around two groups, The Michigan Comic Collective and Source Point Press. Regular readers of this site should recognize the Source Point Press name. I’ve reviewed a couple of books from them in the last year, including a book of werewolf fiction written by Joshua Werner called Rampant. The MCC is only a year old, but has already published an Anthology of comics featuring a variety of styles, writers, and artists. The point of this article is this, that in the last week or so I’ve fallen behind, and this is my way of trying to catch up with all of the stuff that they’ve sent me. It feels like I’ve been in contact with one of the regular publishers, and their PDF list is long and varied. 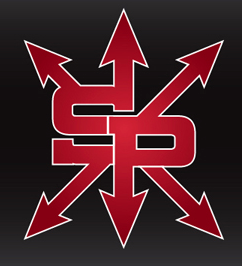 Source Point Press has several books that have dropped recently, and check the link below to buy any or all of them. Most recently are Serial #2 and Source Point Presents #1. 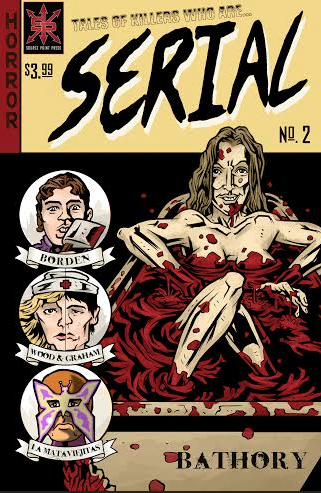 Serial #2 is the reboot of a comic that was banned from Amazon that tells the real stories of serial killers and their horrible crimes. This issue focuses on femme fatales, and is penned by original creators David C. Hayes and Kurt Belcher, and adds new comers Trico Lutkins, David Andres, Eric Xton, and Kevin Moyers. If you’re into reading the stories of Elizabeth Bathory and Lizzie Borden, than look no further. Source Point Presents #1 is sort of a preview book that details some of the stories in the Jack of Spades universe, a book created by Trico Lutkins and drawn by Joshua Werner. This issue tells two stories; the first is called Nightforce, the introduction of the same named hero. Written by Trico Lutkins and drawn by Thad Stalmack II, this is a straight-up super hero story, complete with thefts and super villains. The second story, also written by Lutkins, is a prequel to Jack of Spades #0, and shows the origin story of a villain called the Plasmaster. Lutkins is building a universe, and it’s interesting to watch how it grows with each issue. 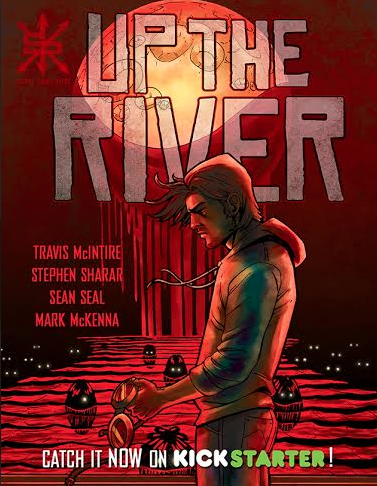 Next up from Source Point is a new KickStarter book called Up The River, from writer Travis McIntire and with pencils and inks by Stephen Sharar and colors by Sean Seal. Up The River #1 is the first of 21 issues in a series that McIntire calls “Huckleberry Finn meets Heart of Darkness meets Superheroes meets Joseph Campbell-style Messiah story”. The combination of Sharar’s art and Seal’s colors create some haunting images. Combined with a tale of superhero murder and revenge, you can bet that this will be a captivating piece of comic booking. 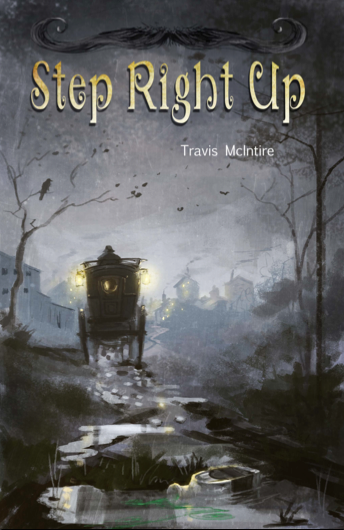 McIntire has also just released a comic with Fell Down Productions called Step Right Up, a short that will be part of a much larger anthology of comic inspired by the music of Tom Waits called This Stuff’ll Kill You. Step Right Up was penciled and inked by Tyler Sowles with colors by Sara Sowles and letters by Zakk Samm. Sean Seal painted a wraparound cover. Available in both PDF and hard copy form, this story is a slice of life from the turn of the century, when medicine men rolled through your town selling ointments and tinctures for every imaginable ailment. McIntire has perfect tone for the character, a lilting musical quality to his prose that sounds as if he was there next to the wagon listening to the pitchman. McIntire and Scharar are the founders of the Michigan Comics Collective, and the beauty of this non-profit can be seen in the preceding article. Names continue to pop up in each and every book that will be seen throughout several of their other books. They’ve managed to pull together a group of comics creators, and through their collective will push them to do what they all have wanted to do since high school, make comics. They have facilitated connection between writers and artists that have led to projects in the works across the state, and garnered attention from Michigan natives Mark McKenna and Ryan Stegman. (McKenna inked the cover for Up The River). I never thought that Michigan could be a hub for creativity in the comic venue. Twenty years ago, who would have thought that Portland and Seattle would be the comic giants they are now? 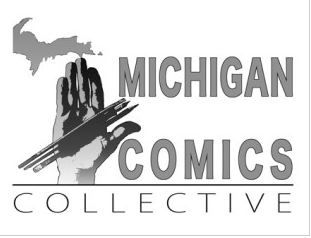 If coffee shops start opening up like crazy, we’ll know that something is up, but until then it’s groups like The Michigan Comics Collective and Source Point Press that are championing the way for independent comic creators in Michigan. Check out the links below to order any of the above comics and so many others offered through Source Point Press and The Michigan Comics Collective. -Step Right Up is available on drivethrucomics.com for .50, print available at the end of February. -Up the River Kick Starter can be found HERE. -Serial #2, Source Point Presents #1, and the Jack of Spades series are available at Source Point Press. 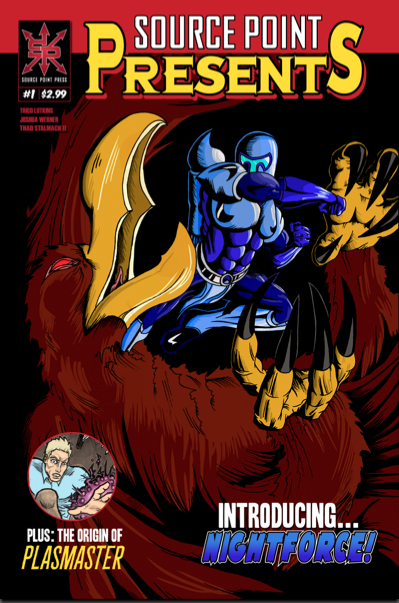 This entry was posted in Comic Book and tagged joshua werner, Michigan Comics Collective, Sean Seal, source point press, Steve Sharar, Travis McIntire, trico lutkins. Bookmark the permalink.